As if 2016 hasn’t already been strange/horrible enough, now we have to contend with all of America’s Corpse Flowers mysteriously blooming at once. Over seven Corpse Flower in the US have bloomed within months of each other. Even the Denver Botanic Garden’s own “Little Stinker” made a showing this past Saturday (but has since closed up). This is extremely unusual since there have only been 157 recorded corpse flower blooms ever between 1889 and 2008. This year in the US alone, at least seven flowers have bloomed. Typically the flowers only bloom about once every six years. According to the North American Vexillological Society, Denver has the 3rd best looking flag in the nation. 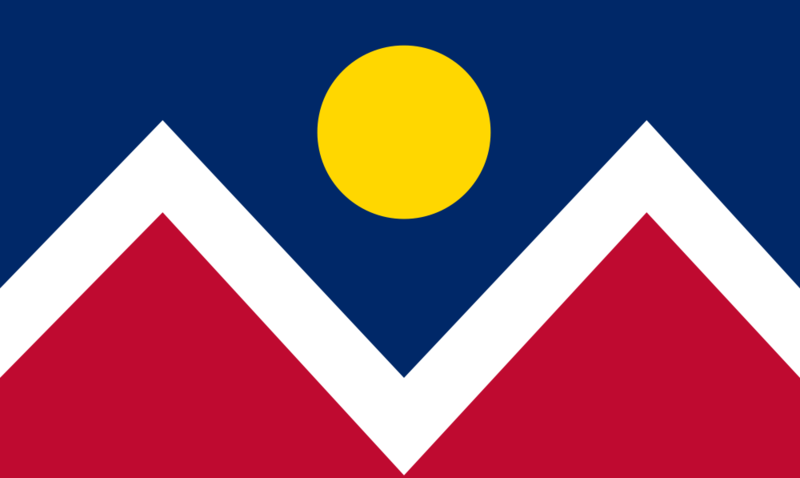 In a 2004 internet survey, the design qualities of the flags of 150 municipalities in the U.S. were rated and Denver’s came in just under Washington D.C. (#1) and Chicago, Illinois (#2). The top three worst designed flags originate from Rapid City, South Dakota (#148), Huntington, West Virginia (#149), and lastly Pocatello, Idaho (#150). The flag for Pensacola, Florida is horrible but didn’t make the list. Personally I’m particularly fond of the flags hailing from Oakland, California (#47), Ocean City, Maryland (not listed), New Orleans, Louisiana (#5), and Mesa, Arizona (#146 but they have since created a new flag). If you are really interested in flag design you’d be doing yourself a favor if you checked out Ted Kaye’s Good Flag, Bad Flag (It can also be downloaded online for free).